Wow !!! It was an amazing DockerCon 2017. 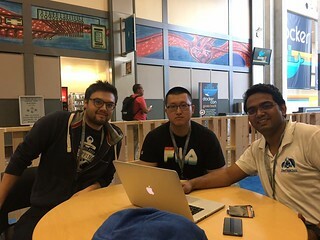 After spending few days in Houston I reached to Austin on 17th April to attend the DockerCon. 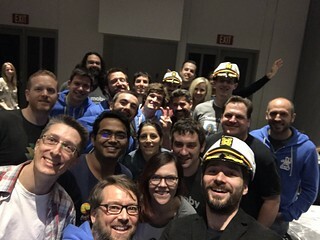 As soon I reached I attended Docker Captains roundtable, where we discussed about the Captain’s program and shared our Docker stories. 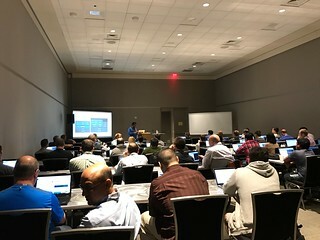 Just after the roundtable I delivered the Learning Docker workshop based on Play With Docker with Ajeet Raina to DockerCon’s 60+ participants. We received some good feedback of our workshop. Moby Project – From last year or so Docker Inc is trying to convert the big monolith docker binary into microservices, like using Swarmkit for Docker Swarm mode, Containerd to run and manage containers. Moby Project is created to take this effort forward by taking all the sub-components like Containerd, Swarmkit, VPNKit, Infrakit etc as an individual component to build a container based system. Docker Platform would be a container based system which would be created from the Moby Project. An individual/company can build its own container based system from it. It is been designed for system architects and not for end users. End users don’t have worry about anything. Their favourite _docker _command is not going away. For more details check the blog post on Docker website. LinuxKit – It is tool to build minimalistic Linux OS image to run containers. It can create VM image to boot on hypervisor/cloud, ISO image to install on bare-metal. I think it is great way to ship standardise Linux environment for different environment like bare-metal, VM or cloud. With LinuxKit, we would be able Linux container side by side with Windows containers on Windows, which is amazing. For more details check the blog post on Docker website. These two announcements shows the Docker’s commitment to the enterprise and the community. While Docker would participate in the upstream community through individual projects, it would also build stable product for the enterprise. Docker for enterprise was the theme of 19th April’s keynote. Other than attending talks on 18th and 19th I met different people who were on my checklist, visited different booths and so on. During the closing keynote on 19th Docker shared two cool hacks, which were by the community members. One was Play with Docker, which lets the users create an on-demand Docker environment to try out Docker by Marcos Nils and Jonathan Leibiusky. Other one was FaaS (Function as a Service) by Alex Ellis, which lets the users use serverless functions on Docker Swarm. On 20th April I attended the first half of the Containerd/Moby summit where different teams shared the updates on project like Containerd, Infrakit, Security, Unikernels etc. 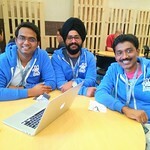 This time all Docker captains from India joined the DockerCon. Other than the conference we hanged around the Austin city together. I had great time Ajeet and Sreenivas. As last time, this time I had great time and would be looking forward for DockerCon 2018.